Meh Suff! 2015 will take place in Hüttikon, Switzerland on September 4-6, 2015. 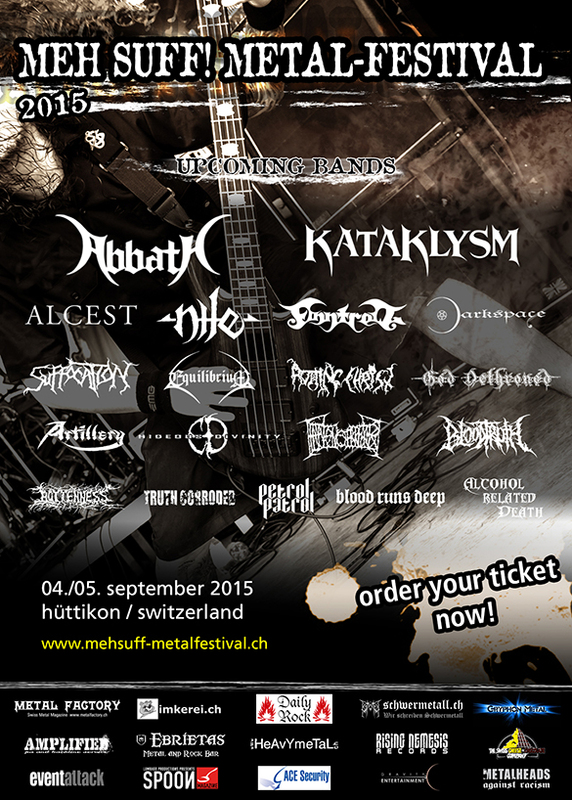 Abbath, Suffocation and Darkspace are among the bands that will perform at the Meh Suff! 2015 festival. Meh Suff! 2015 Tickets CHF 95.